I’ve been practising yoga now for 11 years, since 2007 when I was 21. I started going to classes at university during my 4th year at Leeds studying French and Philosophy. 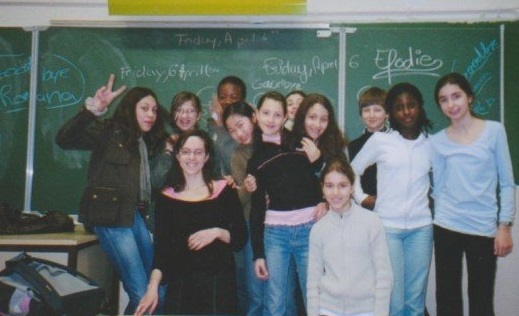 It was when I had returned from my year abroad teaching English as a Language Assistant in Paris. Paris came at the right time for me. Whilst I loved and fully embraced the first two years of uni life: my friends, nights out, independence – I was also struggling a lot with my mental health and depression. I found the lack of routine difficult and drinking was taking its toll on my health. I would be up one minute and very low the next. And I needed to take time out for it, just to try and cope with my moods and feel a sense of stability. 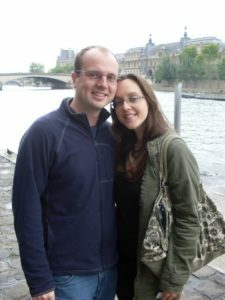 Paris was an opportunity to live differently and engage with a different side of myself. 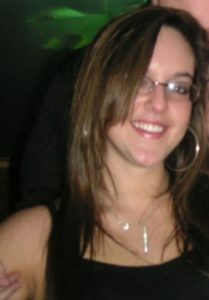 I went to the gym every day, played tennis and ran, as well as eating healthily and stopping drinking. Getting a good sleep was key too for my wellbeing. A lot of these techniques were not new to me, but ones I had adopted as a teenager in managing my moods then too when I first experienced depression. It was wonderful to create a peaceful and calm internal environment to match the backdrop and serenity of Paris, a city I fell in love with. I learnt you can change your habits and behviours to correspond with a reality you wanted to have. Being in the classroom gave me a sense of purpose and confidence. I enjoyed the responsibility and seeing my students grow and find their potential. One morning, when chatting with the school receptionist, he handed me a card for ‘Sahaja Yoga’ and said I should give it a go. I remember thinking he was an angel and it was a sign from the Universe, the next step for me on a much desired spiritual path. Back at uni, I joined my friends in going to yoga with a very inspiring teacher Claire. It was dissertation year and I needed some extra support. And from my first class, I was hooked and called my mum to say I wanted to be a yoga teacher. The sense of peace and calm that I got was profound, a connection with my self and It felt like the pieces of the puzzle were fitting together. Yoga instantly became a firm anchor in my life, something I could depend on for strength, energy and a lift I craved. In my all-or-nothing way, I did yoga every day and went to tons of classes. I ate a vegan no-sugar diet, tried to live by the doshas and Ayurvedic principles the best I could and read a lot of books… I was so focused and passionate that I found it hard to concentrate on my degree! It was heartbreaking for me that I couldn’t study yoga for my dissertation. I thought “If I’ve found what makes me happy, what’s the point of anything else?” The mat gave me the promise of a safe space to help control my moods and express my often overwhelming emotions. On the mat, I was fine. After uni, I did a Yoga course in London and learnt about setting up a yoga business from my friend Fiona. 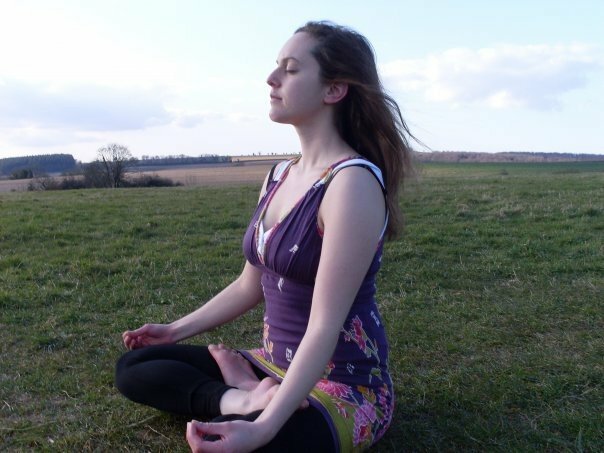 I started practising meditation, which gave me an invaluable tool to help clear my mind and connect with something deeper. But again, I struggled with my mental health and my depression returned. So I went to Dorset for some time out to be with my parents and relax and feel better. 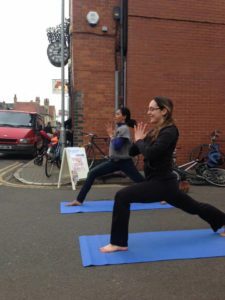 Whilst yoga was helping me a lot to find balance and happiness, my approach to it was somewhat unbalanced and rigid, and I felt disconnected to other parts of my self, my friends and things that were important to me. “Maybe yoga wasn’t the answer to everything?” it was revealed to me. So I continued to teach in schools, working as a Teaching Assistant in a local Primary School based on a military camp in Blandford Forum. And since my passion for yoga was still there, just I had loosened the grip, did a Foundation Course with the British Wheel of Yoga. It’s a lesson I’ve learnt over and over that there’s not one thing that will make you happy, but a combination of things. It’s hard to let go of wanting something that makes you feel good to be the answer to all your problems. Contentment and stability are important too. Unsure of the right path to take and best way to make a living, I decided to do a Primary PGCE in Reading, alongside my Yoga Teacher Training with the BWY. I got back into running that year and trained towards the Amsterdam marathon, which was a positive focus at the time and I found the combination of yoga and running helpful in managing the stress and intensity of the course. 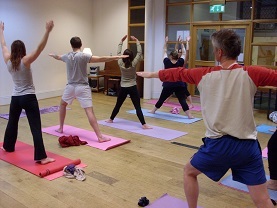 Afterwards, I moved to Cambridge to live near to family and did supply teaching whilst setting up my yoga classes. Being self-employed can feel lonely at times, so it was good also to do office work and build a network with local teachers for support and friendship. It was important to me to feel together. In a sort of “Right, let’s get on now, enough is enough” way. I was determined not to let my moods bring me down or interfere too much with my life or work. But health issues have a way of showing up again and again until you address them properly. I met Alex in one of the schools I was teaching at when I was 25. He was a teaching assistant and was kind and a lovely person. In my vulnerability with him, it was soon apparent that I wasn’t OK, and he supported me in going to counselling and CBT for my depression. I wanted to try to treat it without medication if possible (although of course for some this is a viable option). I knew it wouldn’t be easy, but it was worth trying. All the sadness and pain that I was holding tightly in started coming out, and there was no escaping it. I just needed to feel my emotions and speak about what was going on in order to truly heal. Time is a healer. Talking therapies have been a major support for me over the years. As well as friends and family who I’m so grateful to for being there. I had two years of person-centered counseling and still use my CBT techniques today to help combat negative thinking, such as “taking your thoughts to court” as a way of questioning the truth of the thoughts that enter my mind. I try to identify my feelings and let them out in a healthy way one capful at a time so they don’t fizz up and explode. I realised I was too hard on myself and needed to be kinder and more compassionate, in the same way that I was with my students. I learnt it was ok and not shameful to admit you’re struggling and we all need support. 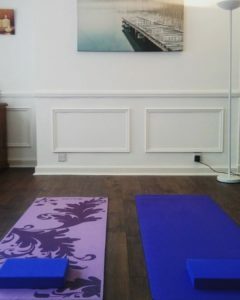 I started teaching more one-to-one classes and discovered that this was a good setting for a lot of people to explore how yoga could help them individually in a safe and supportive environment. Yes, we often have goals and aims in yoga, but we also need to know we’re ok today as we are and work towards loving ourselves. I did a Yoga for Mental Health course recently to provide extra skills to help people in the area I’m most passionate about, which I want to continue with. Alex and I moved to Liverpool in 2016 to live closer to his family and for a change. It seemed like a fun and vibrant city and it’s not let me down! I have carried on teaching privately mainly, so I can offer yoga to people so that it can be an anchor in their lives when needed and a part of their wellbeing toolkit. As I look back over the years, I’ve learnt how beneficial yoga can be to keep you standing still and strong, as well as being a safe haven and a net to support you when you fall down or apart. There’s no one way to do yoga or use for it – only your own and what makes sense for you on your personal journey. I’ve also learnt you can help people and show up even when it’s hard and you’re struggling yourself. Your pain can be your gift, as you can feel empathy and compassion for others deeply and so be a support for them. I believe in the possibility of change and transformation and the power to grow and heal. Never give up. I look forward to the next 10 years on the mat, with curiosity and an open mind, as well as hope and excitement. ← Will you show up in 2015? Thank you Julie, much appreciated.